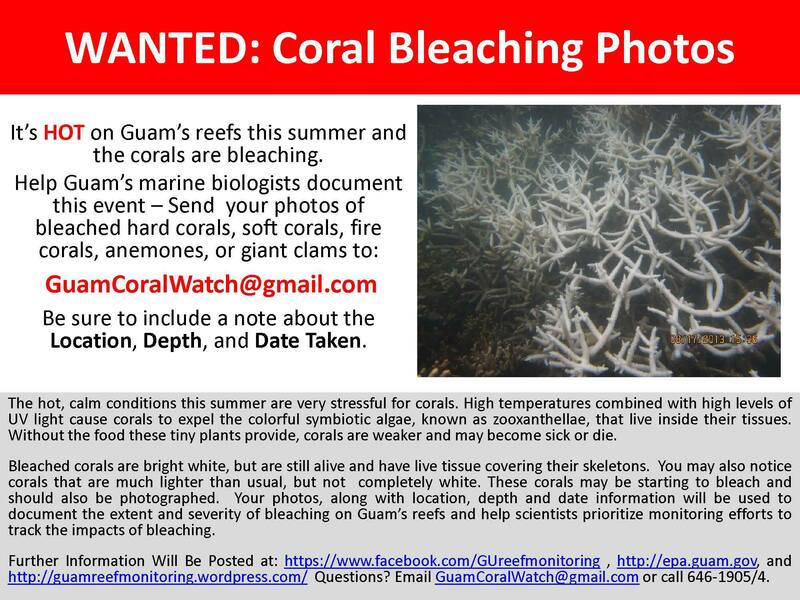 In August, Guam’s local scientists received reports of coral bleaching in Saipan due to the very warm water temperatures. 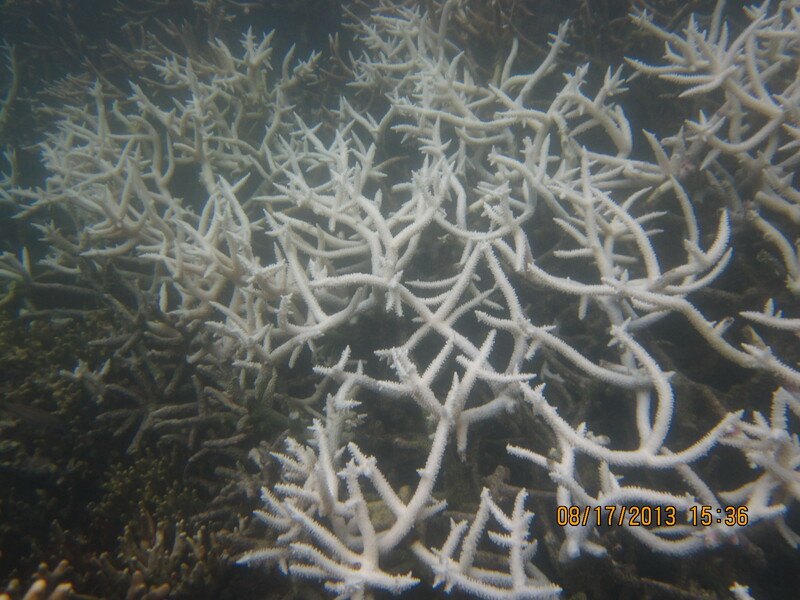 What exactly is coral bleaching? It’s a process in which corals spit out their zooxanthellae (their main nutrional source) due to warmer water temperatures. Just imagine when you’re sick and your body feels overheated making you suddenly want to throw up. Without that nutrition, corals continue to get weaker and less resilient to other impacts such as sedimentation or disease. On the up side, we took this as opportunity to share more information about coral bleaching with Guam residents so they can be “extra eyes” on the reefs for monitoring coral bleaching around the island. During our Coral Bleaching Info. Session, volunteers learned more about what causes coral bleaching, potential impacts, and how they can help our scientists respond to a potential massive bleaching event. We also spent a couple of hours with volunteers over on Saturdays snorkeling in the Piti Bomb Holes Marine Preserve to monitor and document bleaching and paling by taking photos with the assistance from some of our local scientists. 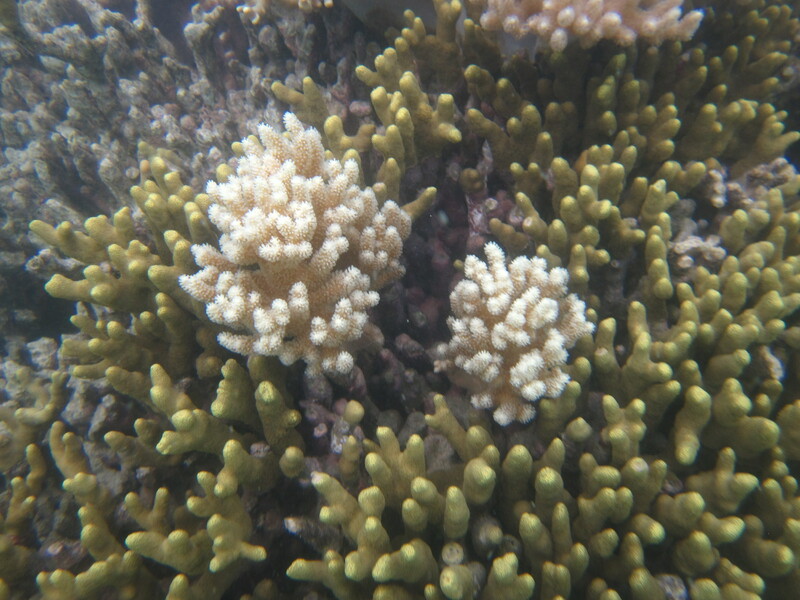 Photo taken by volunteer of bleaching Acropora sp. As warm water temperatures continued, Guam’s corals continue to bleach and local scientists have initiated data collection in various parts of the island, based on coral bleaching reports. Another development that added to the situation, was the tropical depression that brought extremely heavy rains and strong gusts of wind to Guam. The good news is that water temperature has cooled contributing to Guam’s Coral Bleaching Alert 1 status down to Coral Bleaching Watch, but the bad news is that heavy sediment and nutrient output may impact those already bleached corals. 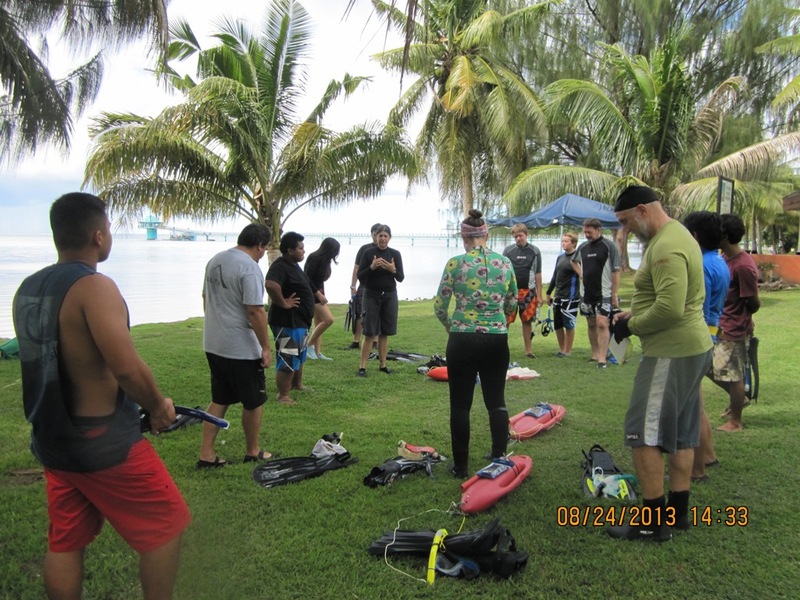 Hopefully, with the help of the community and initial response plan of local scientists in place, Guam will be able to respond in the best way to the potential impacts of a bleaching event without anymore curveballs.